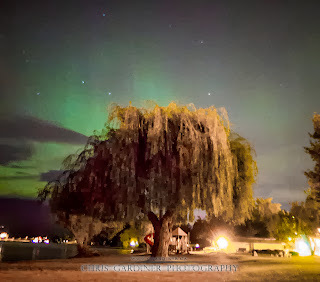 One from my camera that was shooting time-lapse last night. Good morning! Did you get some sleep? I didn't. It was too epic of a night. 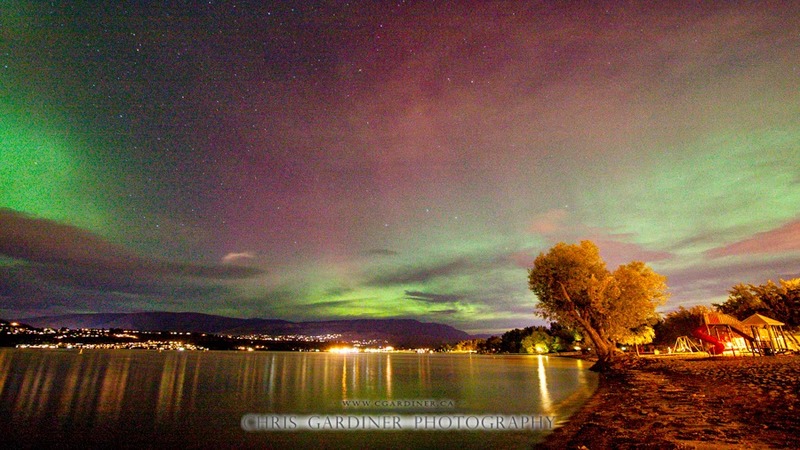 The Northern Lights were out in full force, even in our relatively light polluted Kelowna! Displays were extending overhead with even a few moments where some glow would be visible into the high Southern sky. It doesn't come often around here, and I'm out to photograph it even less frequently so I certainly took advantage of this opportunity. The picture I've shared with you is one from a time-lapse. Check the YouTube video at the bottom of this post for the time-lapse itself! Compiled overnight and uploaded for your viewing pleasure! 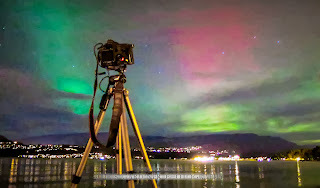 What are some tips for shooting the aurora? Well, have a plan before you get into it. Know where you are going, know what will be in your frame when you are facing North, know how to nail your focus in the dark, and thats assuming you get a manageable composition and exposure. 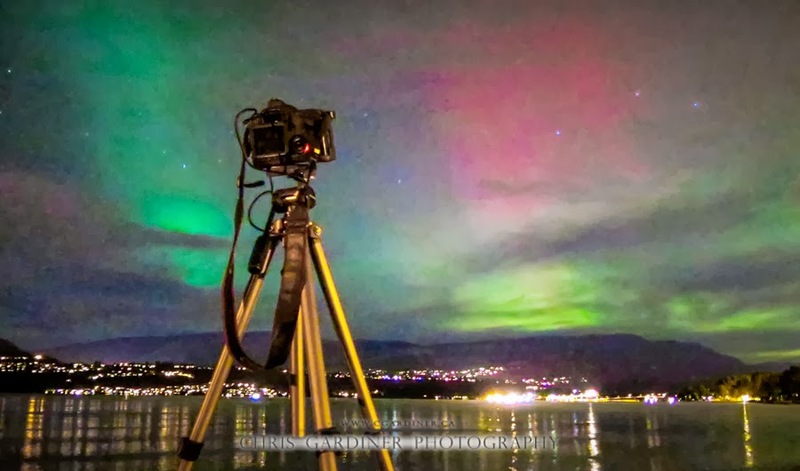 My time lapse frames were captured on manual (obviously) with a programmable cable release. I had some particularly challenging lighting - what you don't know, and can't see is directly to the right is a big parking lot, and there were a bunch of dummies idling their cars with their lights on, occasionally pointed right at me. Sure it's a little frustration to when you are shooting, but really it's their loss, with all that 'on-axis fill light' they had from their headlights, they probably were oblivious to the beautiful display overhead. So enjoy the time-lapse that they missed! Or click the link to see the Aurora Borealis Time-lapse footage on YouTube here!